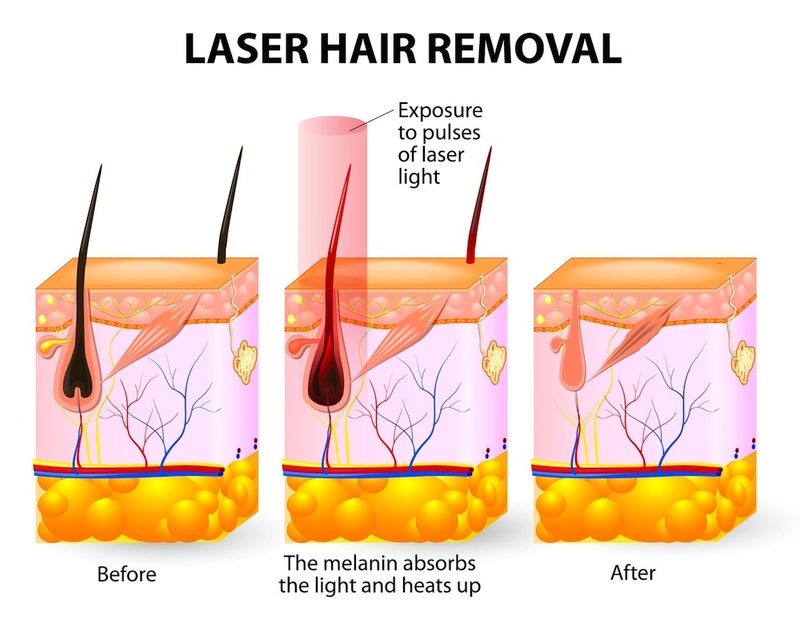 There are many benefits of laser hair removal, including the precision in which it can target unwanted coarse and dark hairs. In addition, the procedure is swift and does not require any downtime – this means you can get sessions done during a lunch break and get back to your daily routine without any worries whatsoever. In fact, smaller areas such as the upper lip can be completely treated in under a minute while bigger areas like the legs or back can be done in approximately one hour. While results will vary depending on individuals, the general effects will follow a specific pattern, making it easier for doctors to estimate the number of body hair removal sessions that will be needed for you to experience permanent hair loss in the target areas. Unlike other permanent hair removal treatments that dark-skinned individuals cannot enjoy, the Candela GentleYAG laser can be used to permanently remove hair on all skin tones and shades. This means that individuals of any gender or ethnicity can undergo this procedure without any concerns. 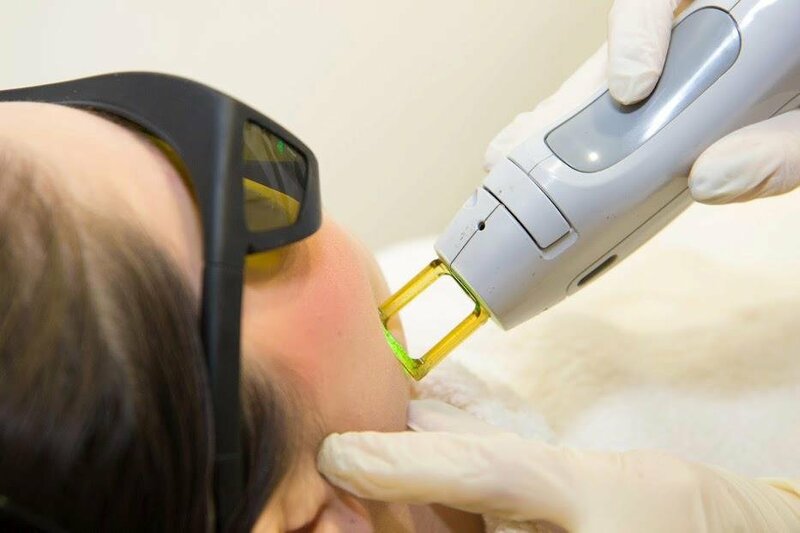 Premier Clinic uses the Candela GentleYAG laser for laser hair removal; this is a process that is highly effective and can yield impressive results. 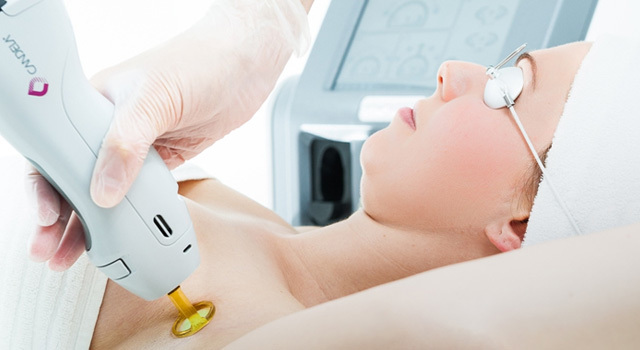 It makes use of a high-energy laser that does not cause any harm to the skin, with a target outlined prior to treatment. A gentle beam of light will be emitted and the long-pulse laser will penetrate the skin before being absorbed. This energy is then converted into heat which will pick out and target hair follicles, reducing hair regrowth in the process. A cooling device will be used to ease the penetration of laser light into your skin; this also helps to protect the outer skin layers. The exact settings of the Candela GentleYAG laser will be adjusted depending on your skin conditions. For most individuals, six sessions per month of laser hair removal using the Candela GentleYAG laser is recommended, but this number may vary from person to person. Hair usually grows in phases and it may take a few sessions or more to correctly target it in the right phase. However, the difference in hair regrowth will be apparent even after the first session of permanent hair removal, with less hair growing back, but also much finer than before. At Premier Clinic, highly experienced female and male doctors are on hand to ensure you will be comfortable during the laser hair removal. Your privacy and comfort are of utmost importance to us, and any concerns or worries can be addressed during the initial consultation session to discuss body hair removal. To prepare for the permanent hair removal sessions, do keep any waxing or plucking to the bare minimum for around six weeks prior to treatment. In addition, you should also ensure that you are not exposed to the sun for prolonged periods during this time. However, do note that this may vary depending on your situation and you should consult with our doctors and follow their recommendations closely. 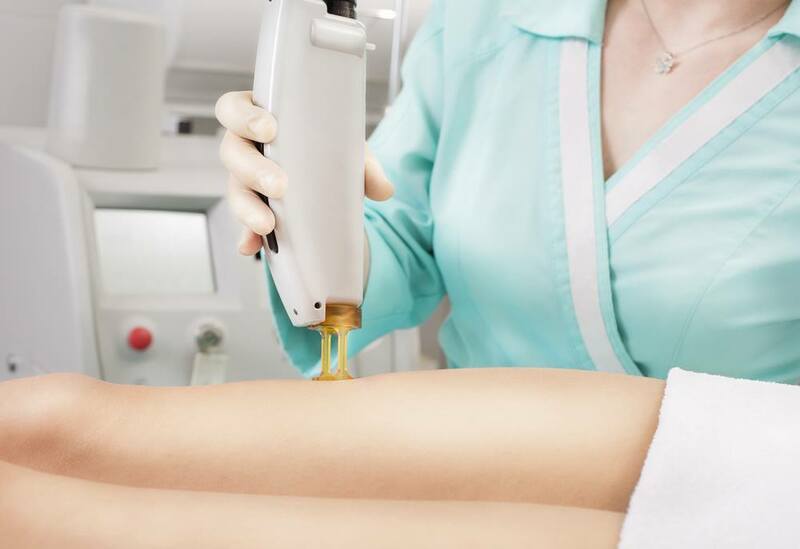 After laser hair removal treatment, the skin in the target area will be reddish or pink, similar to sunburn. This is minor and can be treated accordingly with cold compresses or other methods recommended by your doctor. Other minor side effects may include scarring or swelling, but this should not affect your daily routines. This will also be addressed during the consultation session with our doctors at Premier Clinic. If you would like to enquire further or schedule a consultation session with our friendly and highly professional doctors, do call, SMS or WhatsApp us on +60-12-6625453 from 8am to 10pm daily. Alternatively, you may also email us at contactus@premier-clinic.com to get in touch! Get the latest packages today!